M85 (NGC 4382 is a lenticular or elliptical galaxy in Coma Berenices that lies about 60 million light-years away. 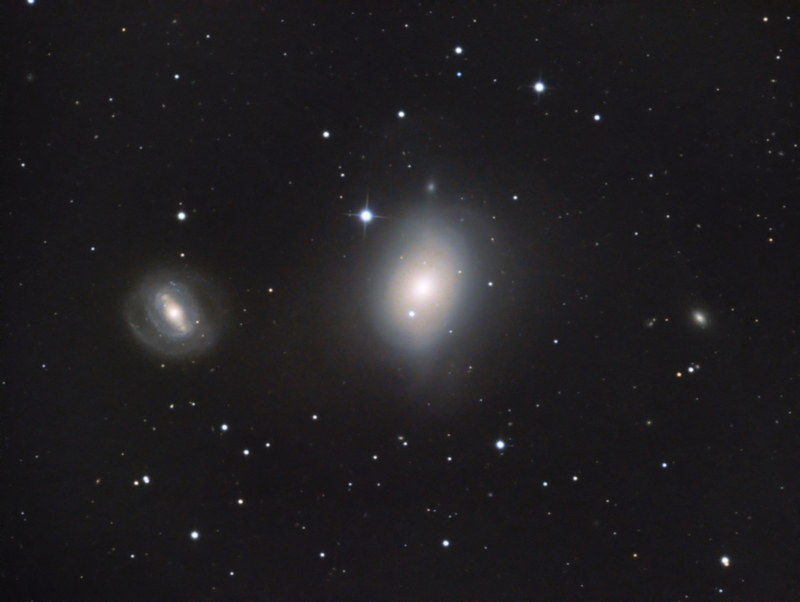 NGC 4394 is nearby to the left in my image and is interacting with M85 and the faint galaxy to the right is IC 3292, a mag 14.8 spiral. M85 was low on my target priority list since at first glance it appeared to be a bland elliptical galaxy. In spite of the this first impression, you can see some interesting structure in this galaxy and the proximity of the other galaxies adds some additional interest. Exposure: LRGB: L:15x10 min R:6x8 min, G:10x6 min, B:10x10 min for a total of 6 hrs.